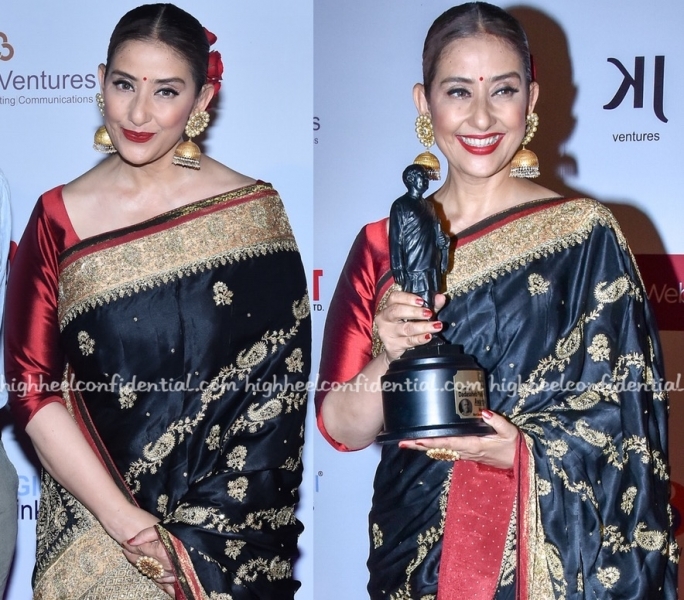 While at a recent awards event, Manisha was photographed in a Ritu Kumar sari. Adding roses to her updo, she rounded out the look with a small bindi, a striking red lip and Amrapali jewelry. It might be much, but she made it work for her. I don’t care was it too much but my god she looked lovely !! i agree…the tightly tied hair made her ears look much bigger. The earrings also added to it. She looks sweet. 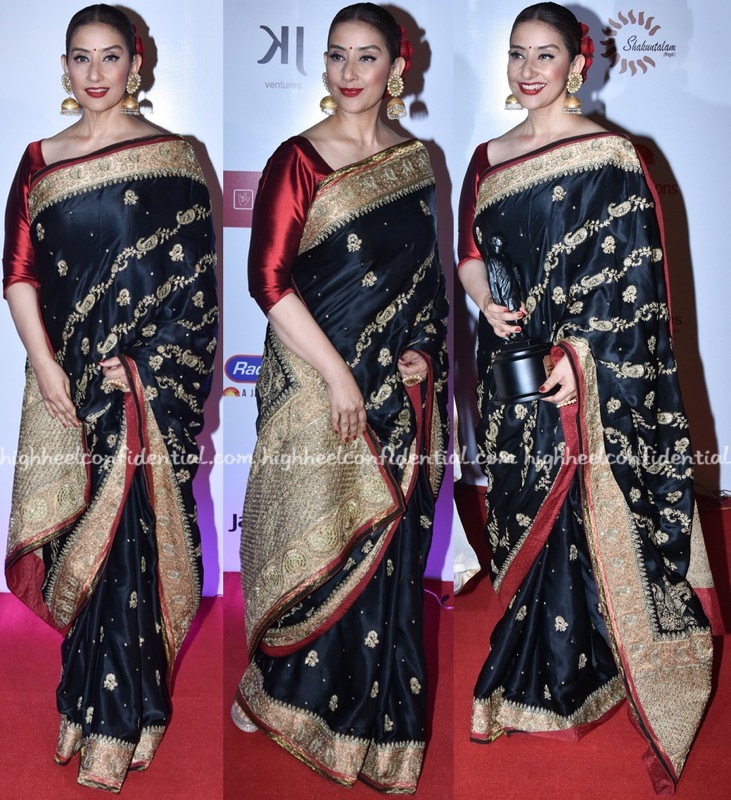 I like her saree, a classic piece which can be worn over decades. Her hair is a little too severe. 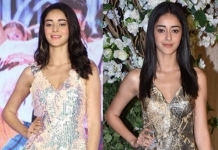 less is more – Manya! Love the woman , such a timeless beauty, so feel really bad shitting on her look. It just feels very dated. She looks radiant though! She does carry it off so well! That’s a beautiful sari and Manisha still brings it! A good stylist would help elevate her look. Dated! and yes, toooooo much!